The growing popularity of MAN and Volkswagen (VW) trucks and buses in East Africa has created a need for more vehicle servicing operations in the region and Nairobi can now boast a new state-of-the-art MAN and VW heavy commercial vehicle servicing facility, conveniently situated on the old Mombasa Road in Nairobi, which links the capital with the nation’s primary port of Mombasa. 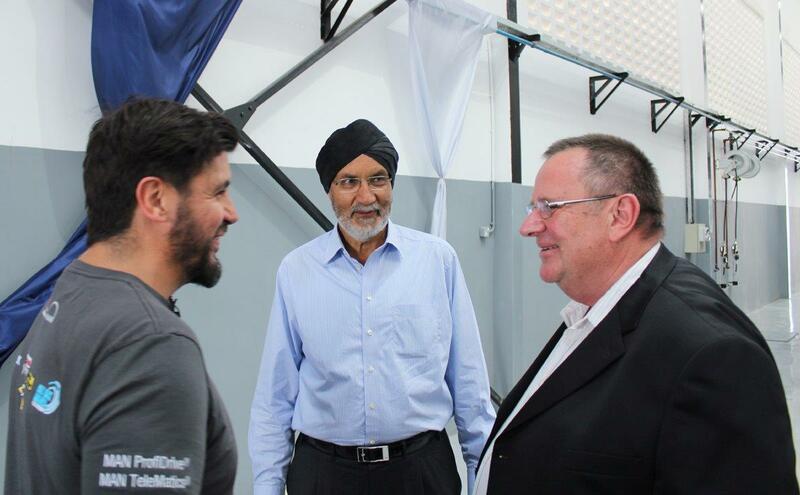 Owned by industrialist, Rajinder Singh Baryan, Managing Director of R.T East Africa Limited (RTEAL), the 9 000 squaremetre facility has been built at a cost of over KES 250 million (R32.5 million) and has been custom-designed to allow optimum flexibility for vehicle servicing. It is equipped with two inspection pits, an engine and pump room, a large parts warehouse and expansive office space. “Our new MAN Service Centre of Excellence is the first step toward evolving the support experience for our MAN Truck customers. 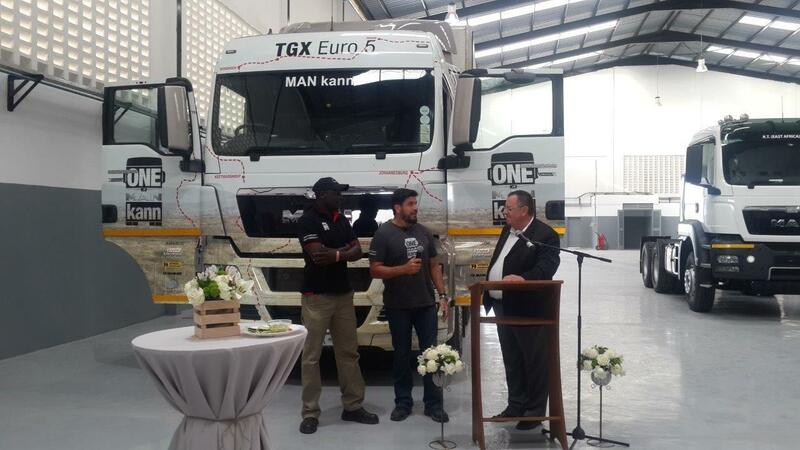 It will not only cater for new MAN truck buyers, but will also cater for the first time to MAN TopUsed buyers who for a long time have not had a worldclass facility to service their trucks,” said Baryan. 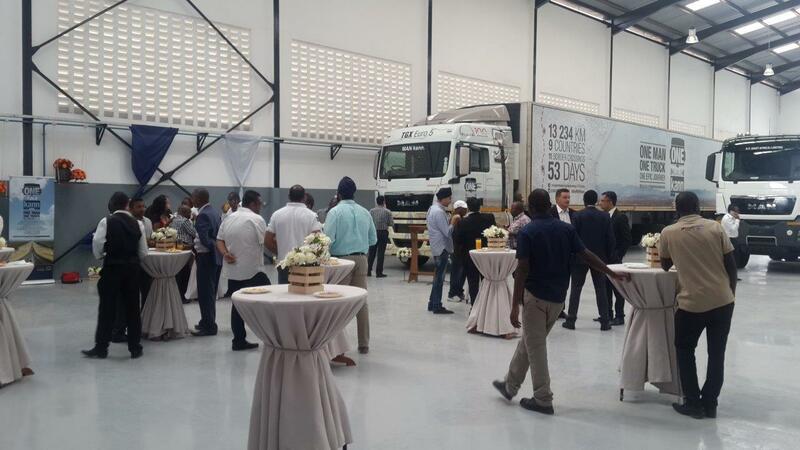 The official roofwetting ceremony of the new RTEAL facility held on 2nd October 2015, coincided with the arrival of the ONE MAN kann Journey in Nairobi, where the MAN Euro 5 TGX 26.540 EfficientLine joined its stable mates on the shining new RTEAL service centre floor, completing a picture that illustrated RTEAL’s long-standing loyalty to MAN trucks.